Bitter gourd stir fry Recipe : Bitter gourd is a must have family vegetable due to its unique contents. Bitter gourd is liked by vegetarians as well as non-vegetarians, but not by kids due to its bitterness. The nutrition value of bitter melon make it “ BETTER GOURD” than bitter gourd. 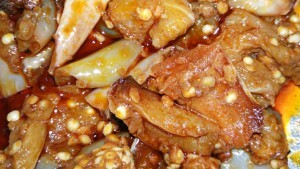 Here is the recipe of Bitter gourd stir fry . 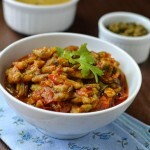 Other bitter gourd recipes worth a try are Bitter Gourd Thoran / Pavakka Thoran, Bitter gourd tomato curry, Bitter Gourd Stuffed or Bharwa Karela, Bitter Gourd (Pavakka) Theeyal and Bitter Gourd Curry. 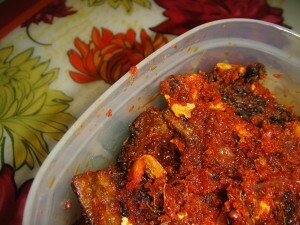 Half to one teaspoon of Kashmiri Chilli powder. 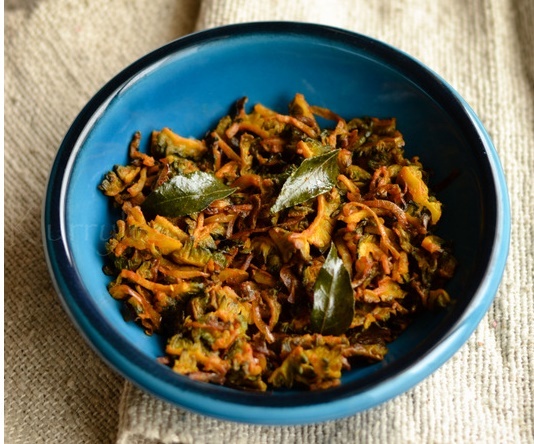 in a thick bottomed pan, heat the oil and add curry leaves onion slices and bitter gourd. cook the bitter gourd in oil in a medium flame till everything light turns golden brown. Add garlic and saute for a while till the raw smell of garlic is gone as well as the bitter gourd to golden brown. Sauté it for a while without getting burned. 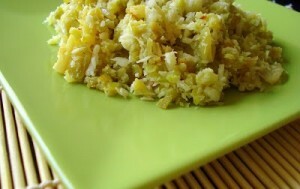 Add the fried coconut along with thinly sliced onion and serve. 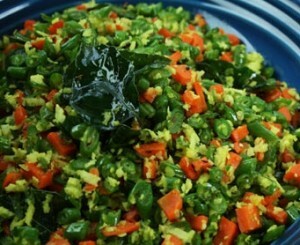 Instead of Kashmiri chilli powder you can use the green slit and sliced green chilies. Bittergourd just for glowing skin : Regular intake of bitter gourd flushes out the toxins from the body and give way to a flawless skin and thus provides a glowing appearance. Bittergourd helps in weight loss : Bitter gourd juice helps in curb the appetite thus increases the metabolism and detoxifies the body, in a natural way. Bitter gourd for a better hair : Daily consumption of bitter gourd prevents the premature hair greying and hair fall. Bitter gourd fights the pimples: Bitter gourd acts as a blood purifier and thus removes pimples or acne from the face. Bittergourd for Dandruff” Bitter gourd along with gooseberry ( amla ), applying on the scalp properly fights the dandruff which is a natural remedy.